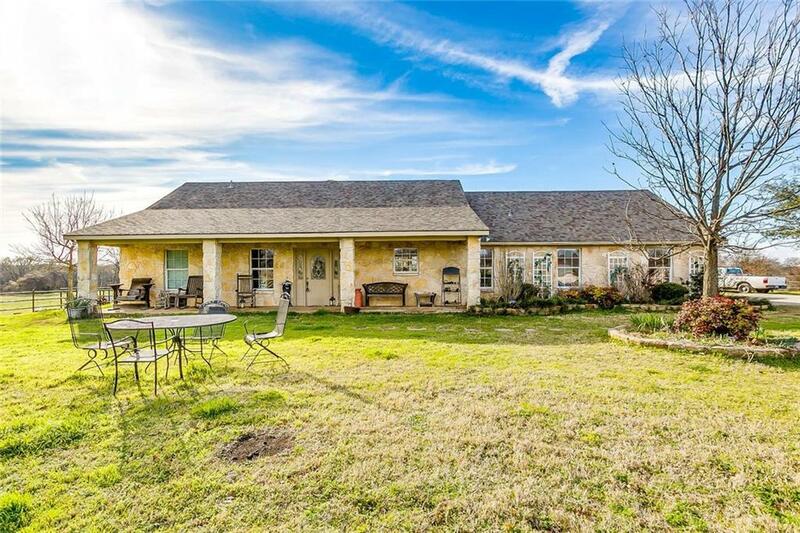 Fabulous 3-2 COUNTRY HOME ON 19.79 ACRES. Highlights: Open concept living w WBFP, formal dining and beautiful kitchen w black appliances, double wall oven, solid surface countertops, walk in pantry, island breakfast bar. Lots of windows. Master with jetted tub & walk in shower. Wood floors in main areas, carpet in bedrooms. Covered front porch & back porch with stone columns and hot tub for relaxing or entertaining. Guest house with full kitchen, living, bed & bath. 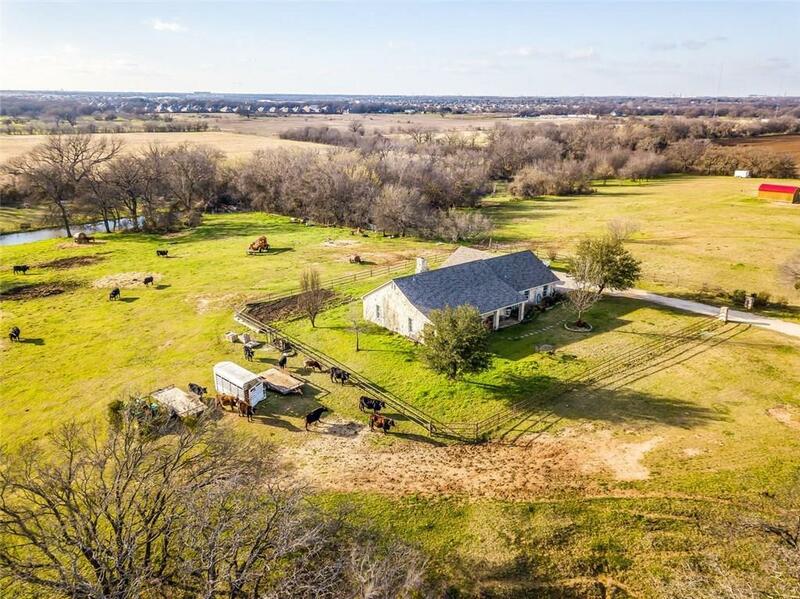 Automatic solar gate, barn, beautiful pasture with 2 tanks stocked with bass, catfish & crappie, flowing river on the perimeter of property. Items staying: Refrigerator & hot tub stay with property. 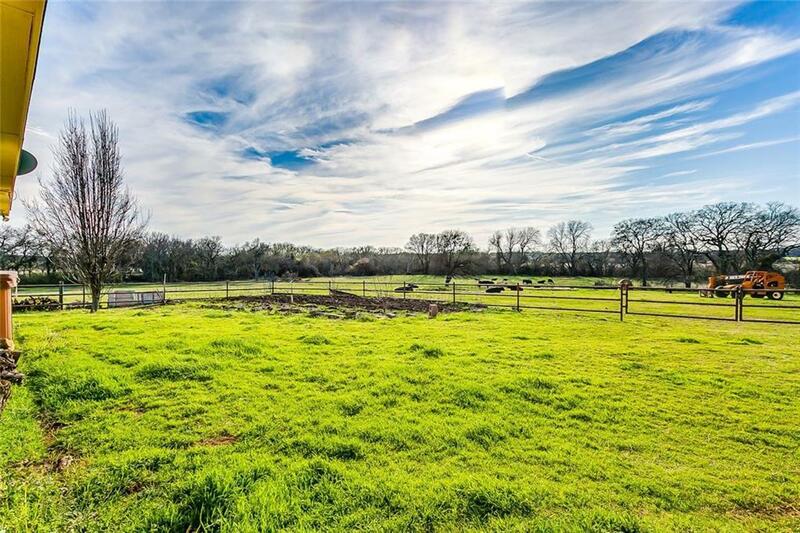 Offered by Jonathan Cook of Keller Williams Arlington.